Boutique Style Furnishing, Newly Renovated. campus and less than one mile from Sun Devil Stadium. 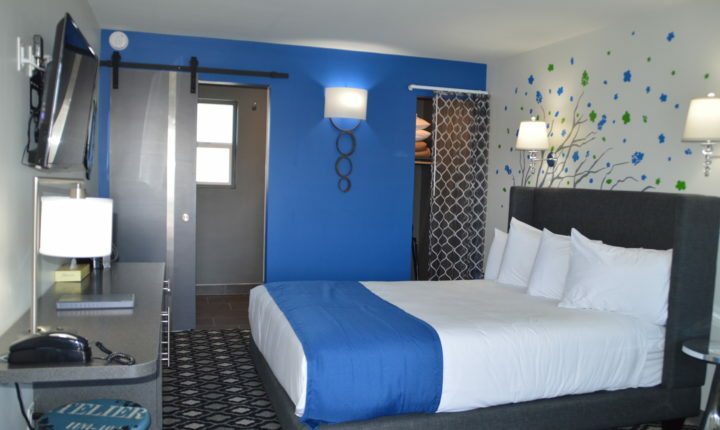 Join us for a comfortable and remarkably affordable stay at our family owned and operated boutique inn. Following our comprehensive room renovation, our updated boutique inn blends classic style with modern comfort. Make yourself completely at home in one of our 25 spacious rooms including 4 suites. We pride ourselves on offering travellers unmatched convenience to everything there is to see and experience in Tempe. 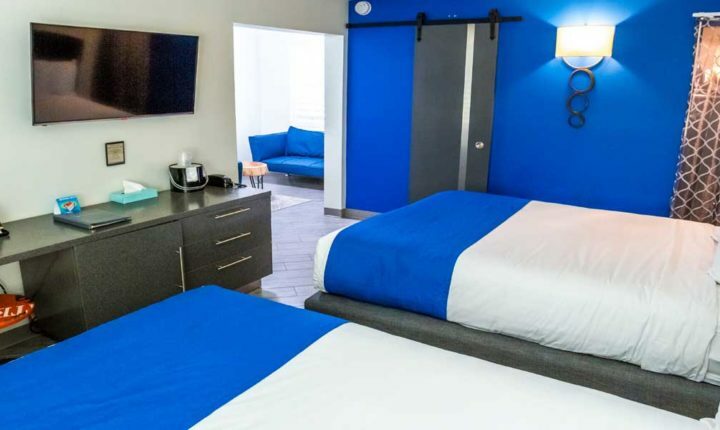 We’re located across the street from the Arizona State University campus and less than one mile from Sun Devil Stadium, one block from the restaurants and bars of Mill Avenue, two miles from Tempe Diablo Stadium and approximately five miles from Phoenix Sky Harbor International Airport. Guests arriving by car enjoy free onsite parking. 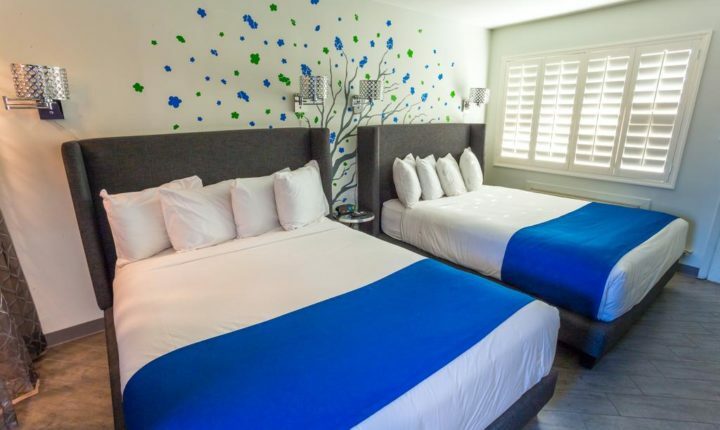 Whether you’re visiting Tempe for business, leisure or an ASU event, you’ll be delighted with our hotel’s accommodating staff and first-class amenities. 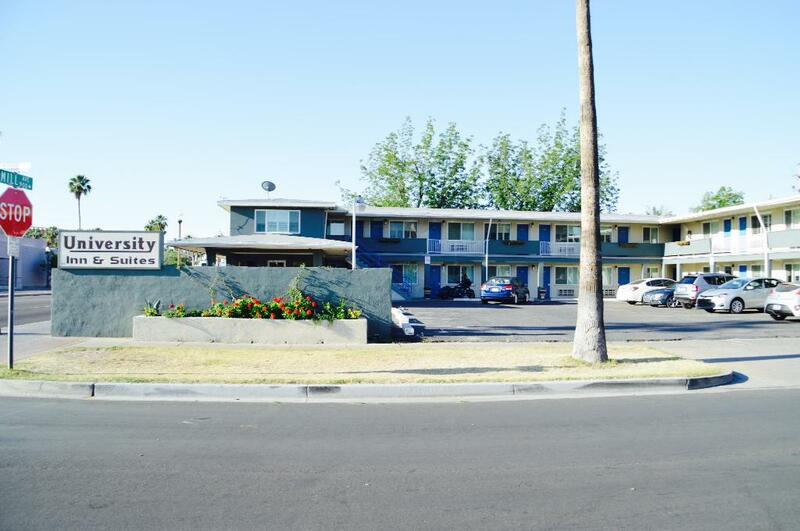 Visit the University Inn & Suites Tempe and discover the best value within walking distance of downtown Tempe. 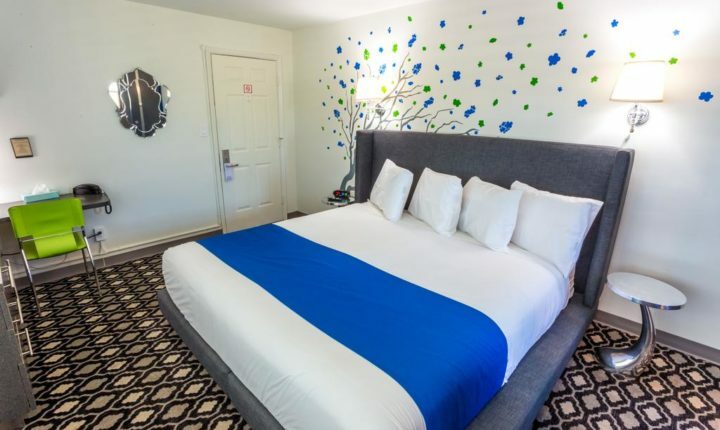 As a family, we have been providing lodging and accommodations for over three decades, and we look forward to providing you, our valued customer and business traveler with the best service at the best value in our area. Tempe’s warm and irresistible climate makes it easy to step outside to enjoy the many recreational activities the area has to offer in any season. In the midst of this stunning urban community lie mountains, trails, lakes and parks. Great facilities, an ideal location and picturesque landscape make Tempe the perfect place for your next outdoor adventure, including boating, hiking, biking and golf. Do you want to feel like a PGA pro? Grab your clubs and play around at ASU Karsten Golf Course in Tempe, AZ. ASU Karsten has a “4 ½ Star” rating by Golf Digest’s “Best Places to Play”. Take a few strokes off your game and visit the PING Learning Center, ASU Karsten’s onsite practice facility that has helped develop the skills of some of the best golfers playing today. With breathtaking mountain views, Rolling Hills Golf Course is a favorite course for both locals and visitors. For a casual round of golf, check out Ken McDonald Golf Course in South Tempe. Tempe is a lively destination. It’s not just a suburb of the nation’s fifth largest city of Phoenix, Tempe is a happening kind of place. It has spirit and energy. It’s where students and families go for enjoyment and entertainment. Historically, Tempe was the site of Hayden’s Ferry that transported people, horses and goods across the Salt River. Although bridges now provide access, today Tempe is still the crossroads that separates Phoenix from its East Valley neighbor cities of Chandler, Mesa and beyond. It’s a hub of activity. Fun, recreation, fishing, picnicking, sailing, dining, annual festivals, shopping, entertainment and vibrant nightlife. Tempe, located in the heart of Metropolitan Phoenix, offers an eclectic smorgasbord when it comes to pleasing your palate. In this college town, long influenced and inspired by local, regional, national and international tastes, Tempe visitors enjoy fast casual and fine dining of all types and styles. Juicy burgers, spicy Sichuan stir-fry, Japanese sushi, Irish pub grub, ramen noodles, dessert crêpes, Mediterranean- or Southwestern-style cuisine, tofu for the vegetarian, handmade Mexican ice cream popsicles (in Spanish, paletas), an Ethiopian restaurant—dishes you wouldn’t expect in Arizona are right here in Tempe. Sky Harbor International Airport 3400 E Sky Harbor Blvd, Phoenix, AZ 85034 (602) 273-3300 The City of Phoenix owns and operates the Phoenix Airport System which consists of Sky Harbor International Airport, Deer Valley and Goodyear airports. Tune in to 1610 AM on your radio as you’re driving through Sky Harbor for updated information on Airport conditions. Downtown Phoenix is bustling with activities for foodies, fans and families. Apache Gold Casino 5 US-70, San Carlos, AZ 85550 (928) 475-7800 Apache Gold Casino Resort is owned by the San Carlos Apache Tribe whose tribal land covers over 1.8 million acres in eastern Arizona, from the Sonoran Desert to Ponderosa pine forests. An Experience ASU program includes a presentation on admissions, scholarships and financial aid, student housing, getting involved on campus and much more. You will also go on a student-led walking tour of campus. This is approximately a two-hour visit. Tempe has plenty of attractions to keep you entertained. Tempe is a lively destination. It’s not just a suburb of the nation’s fifth largest city of Phoenix, Tempe is a happening kind of place. It has spirit and energy. It’s where students and families go for enjoyment and entertainment. Tempe St. Luke’s Hospital 1500 S Mill Ave, Tempe, AZ 85281 (877) 351-9355 FREE Tempe St. Luke’s Hospital is an 87-bed full-service hospital and a campus of St. Luke’s Medical Center. Located in the heart of Tempe, near Arizona State University, the hospital offers a broad range of medical services. 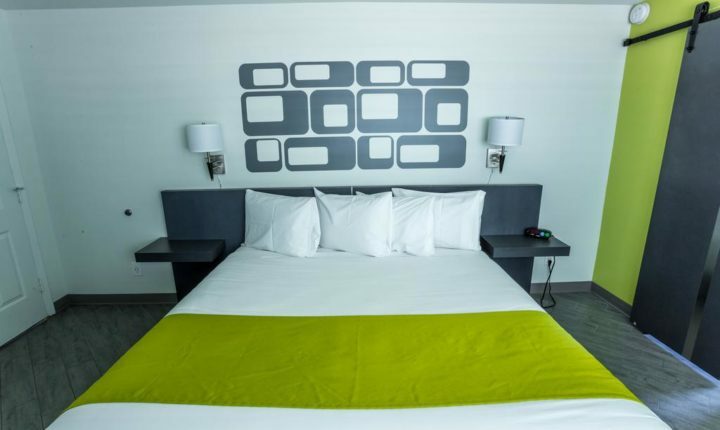 Copyright © 2018 UNIVERSITY INN AND SUITES | ALL RIGHTS RESERVED.